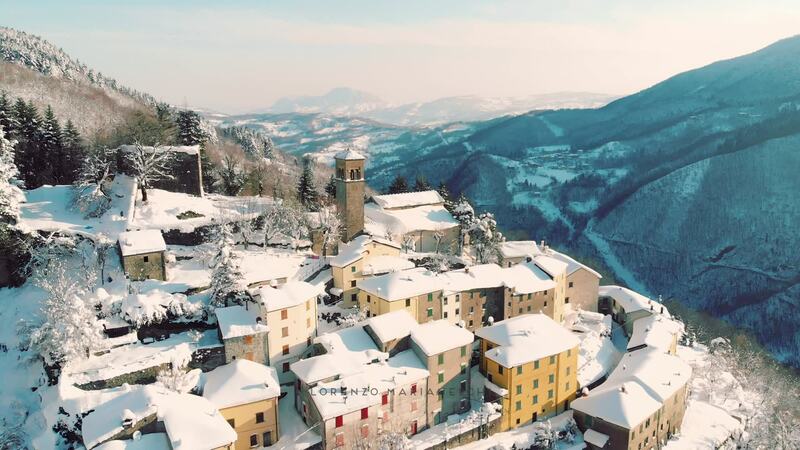 The beauty of winter is quite clear in this stunning aerial video by Lorenzo. Shot in Sambuca Pistoiese, Pistoia, Tuscany, Italy the hills and valleys surrounding the historic town could not be more picturesque. The area is known for its mountains, flowing rivers, castles, and tranquil parish churches. Description: -14 ° C (6.9 °F) in the absolute silence of a winter dawn. Lonely, steady in time the beautiful "Sambuca Pistoiese". Mavic Air - 2 stichted photos DJI Mavic Air 4K 25p (Exposed in D-Cinema Log) Shoot in Sambuca Pistoiese, Pistoia, Tuscany, Italy. Color Correction & Editing in Final Cut Pro X.